on! 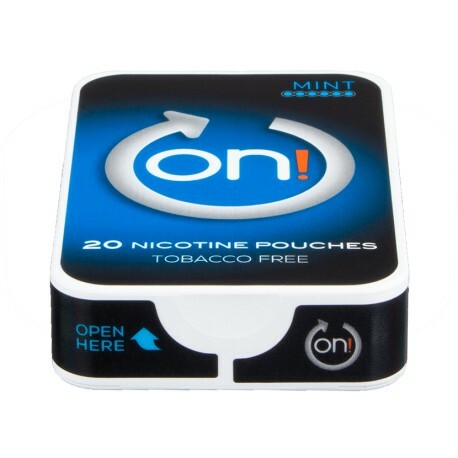 Mint 6 Nicotine Pouches are tobacco-free all-white nicotine pouches. The Mint has a mint with menthol notes flavor plus nicotine. The portions themselves are about the size of of a snus mini-portion. on! rates nicotine on a scale starting at 1; this version of Mint is a 6 & should well satisfy your nicotine craving. If you're in to or curious about All-White nicotine products, Try on! The on! box is rectangular and has a convenient compartment to deposit your used pouches in. on! Mint 6 Nicotine Pouches are a tobacco-free flavored nicotine pouch just right for discreetly satisfying your flavor & nicotine cravings. Get on! at SnusCentral.com!